There’s a weird phenomenon that occurs only with some cars, which is that the people that like certain cars, and the people that actually own those cars, couldn’t be further apart. 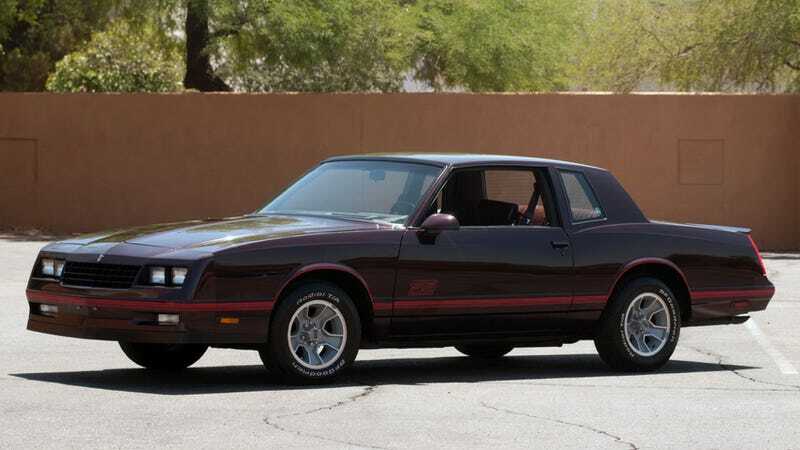 The 1985 Chevy Monte Carlo SS is one of those cars. It’s starting to get a retro-cool vibe now, as they can be all black and pretty and intimidating and loud and 1980s as all hell. That makes a lot of people like them. We live in a strange world, where Donald Trump is the leading Republican frontrunner for president, Bernie Sanders is the leading Democratic front runner for president, and Jeb Bush is publicly undergoing a mental breakdown. But also, where you can’t look at a car. Congratulations, formerlydickmove, on your COTD win. Maybe one day you, too, will be a 1985 Chevy Monte Carlo SS owner. And then you can be a prick to everyone else.